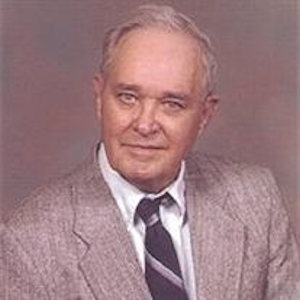 Obituary – Brengle, Dr. Kenneth Gordon « Perry High School Alumni Association, Inc.
Dr. Kenneth G. Brengle, Sr., 82, of Greeley passed away Wednesday, July 23, 2008 at the North Colorado Medical Center Hospice Inpatient Unit. He was born May 18, 1926 in Perry, OK to Edward Quine and Letha (Davis) Brengle. Kenneth earned his bachelors and Masters Degrees at Oklahoma A&M and his PhD from Michigan State University. He married Donna Spillman on November 17, 1944 in Perry, OK. He moved to Fort Collins in 1955 and in 1971 they moved to Cortez. In 1976 they moved to Iran where they lived for 18 months and then moved back to Ft. Collins when he retired in 1984. After they lived in Morocco for 2 years, they moved back to Perry, OK for the next 12 years before moving to Greeley last year. Kenneth was an Agronomy professor at Colorado State University. He was a member of the American Legion Post #0053 in Perry, OK and served in the 45th Infantry Division of the US Army during WW II and the Korean Conflict. He was also a member of Zion Lutheran Church and was an avid golfer, was a woodworker, loved spending time with his family, collected coins, stamps, antique model cars and also enjoyed camping and fishing and was a loving husband, dad and granddad. Visitation will be held from 9:30 a.m. to 11:30 a.m. Tuesday at the Allnutt Macy Chapel. Funeral service 11:30 a.m. Tuesday at our chapel. Interment Linn Grove Cemetery. A reception will follow at the Allnutt Reception Center. Memorials may be made to Hospice & Palliative Care in care of Allnutt Funeral Service, 702 13th St., Greeley, CO 80631.